Experience the difference with all the lastest in LED technology. What everyone wants at their Wedding Reception. 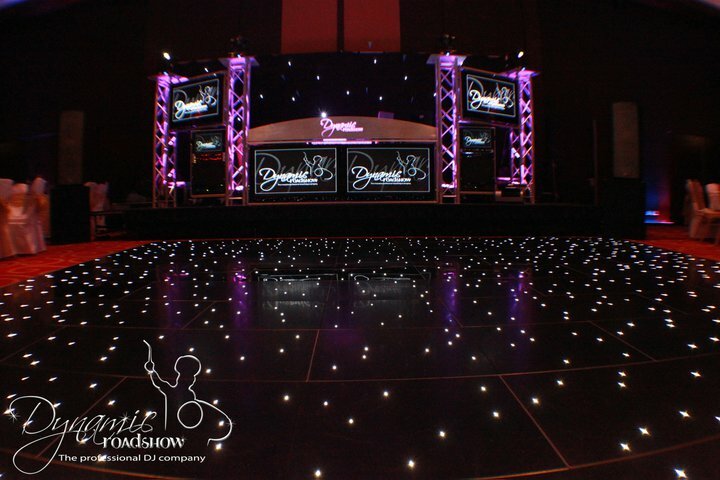 Adding the finishing touch to your event with our state of the art LED lit dance floors. Available in glossy black and pure white let these large dance floors transform your venue with the technology to have the dance floor flashing at different speeds. 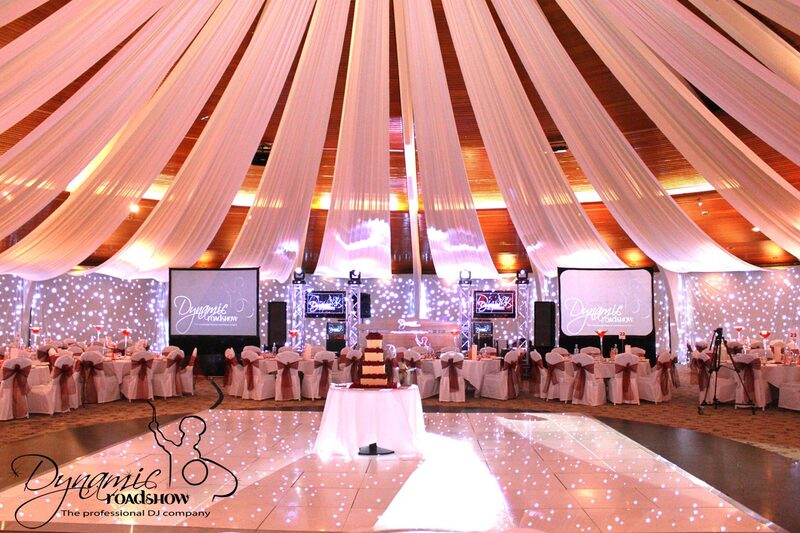 Transform your venue into any colour, theme your venue to match the brides outfit or décor. Dynamic Roadshow’s unique venue lighting is specially programmed to change patterns and colours during your event. 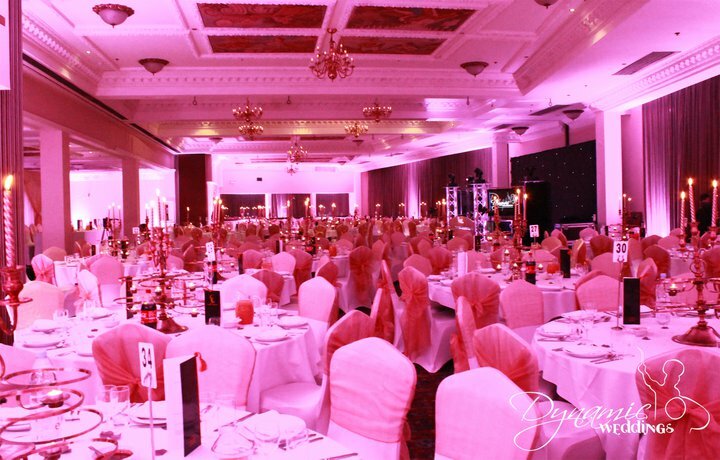 From hot pinks to cool blues we have over 36,000 colours to chose from and also give you the option of having your entire venue switch colours to the beat of the music, leaving that lasting impression on all your guests. Replace the commonly used star cloth with the latest technology has to offer. An extra large 4metre video wall, plays music videos, animation and slide shows.